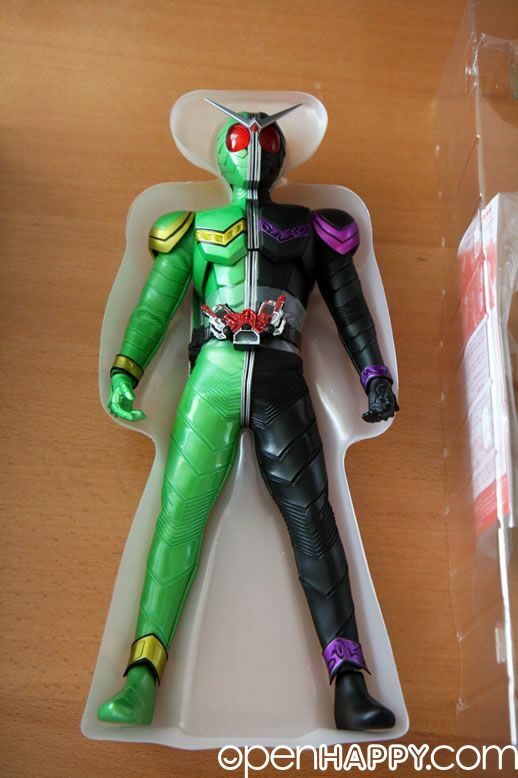 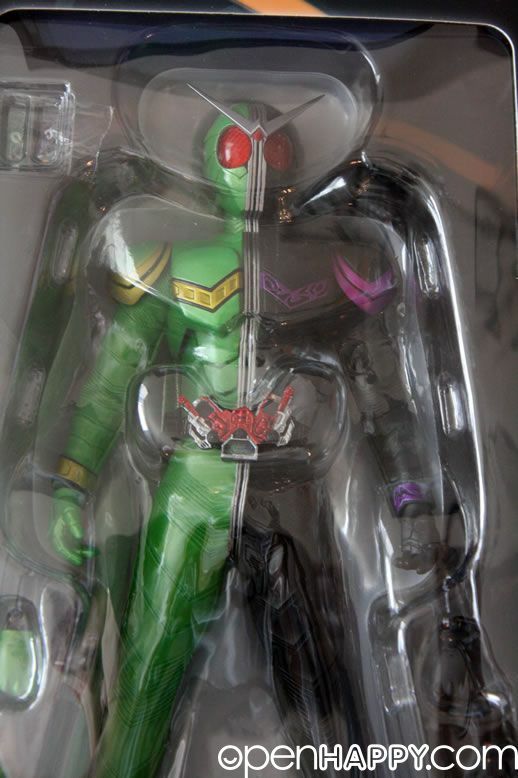 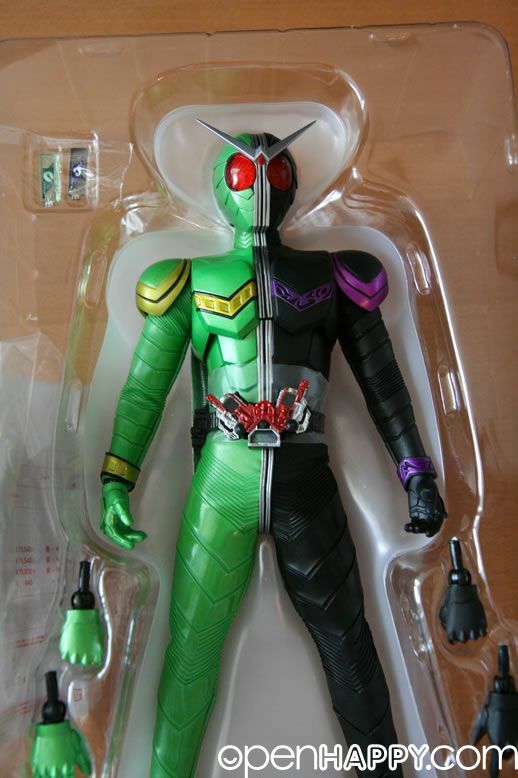 Kamen Rider W (Double) is the first kamen rider that allows two people to transform at the same time. 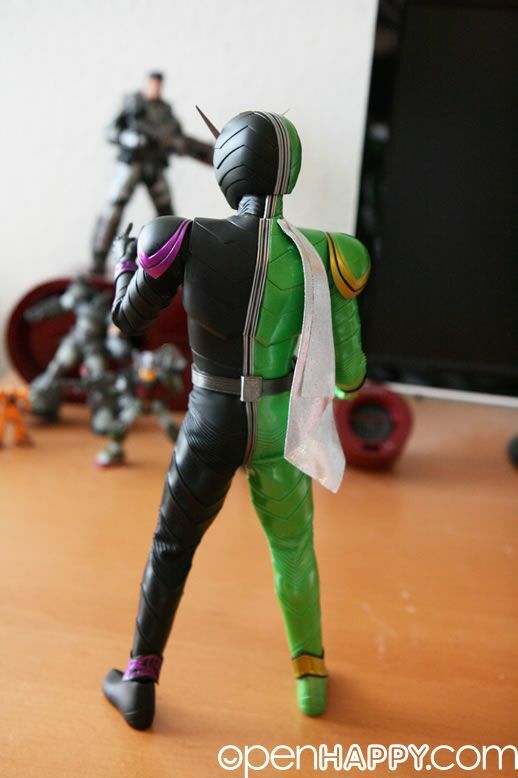 The show is actually very entertaining. 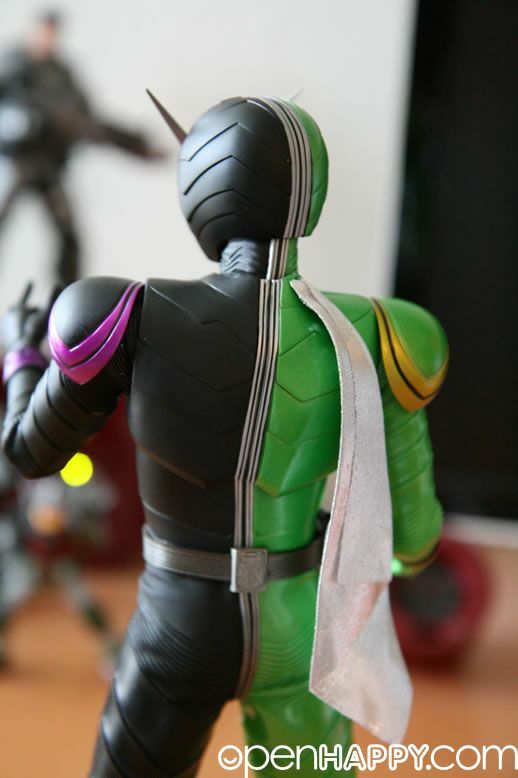 Check it out if you have not done so. 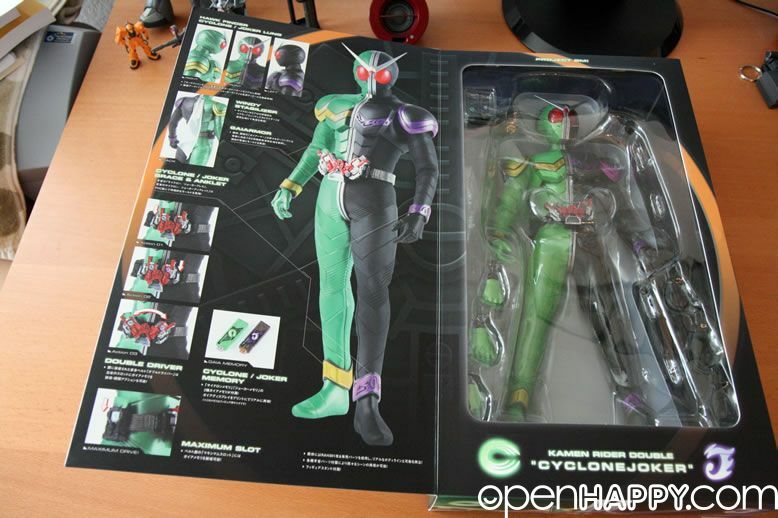 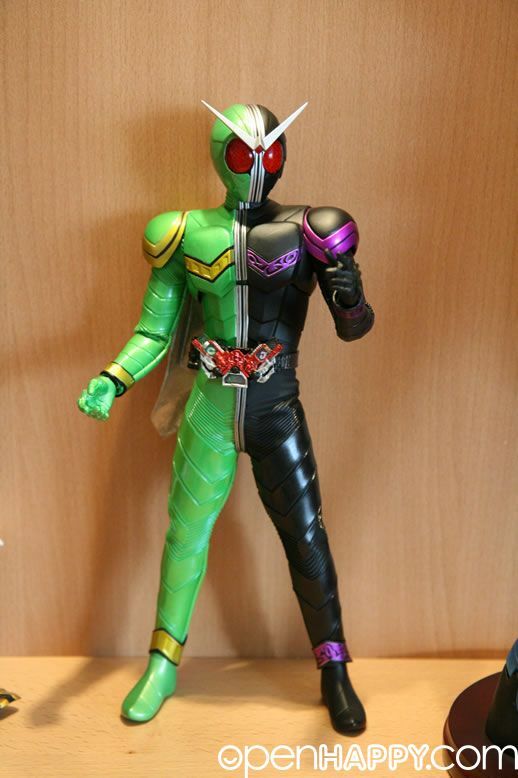 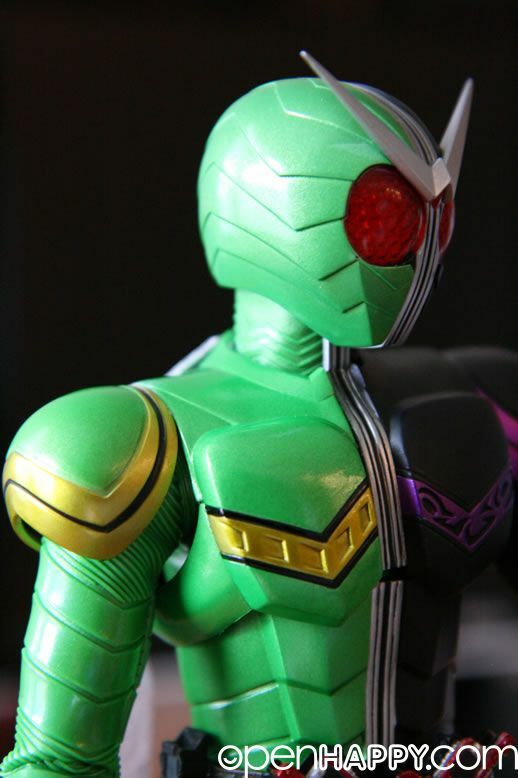 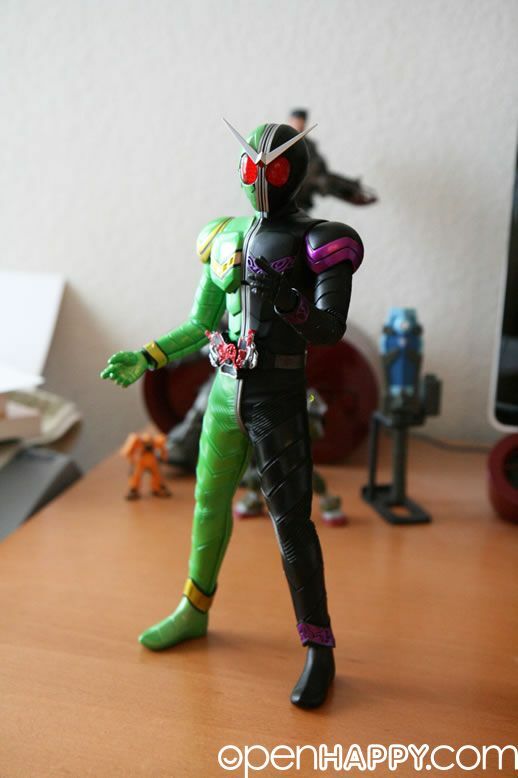 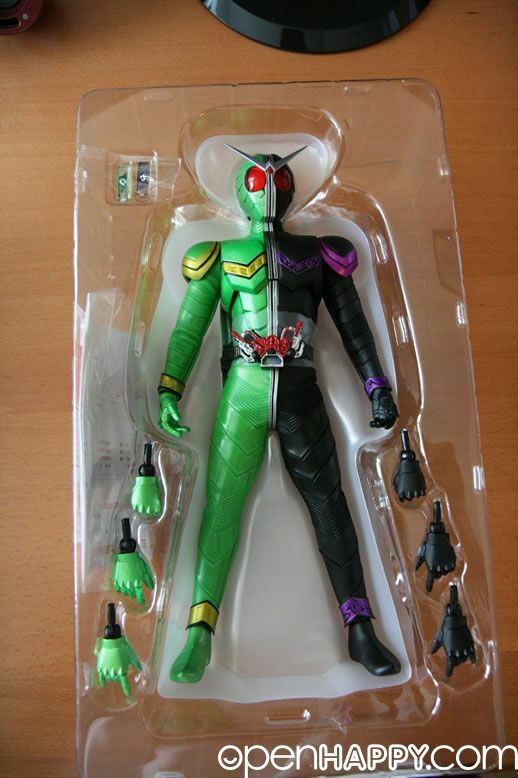 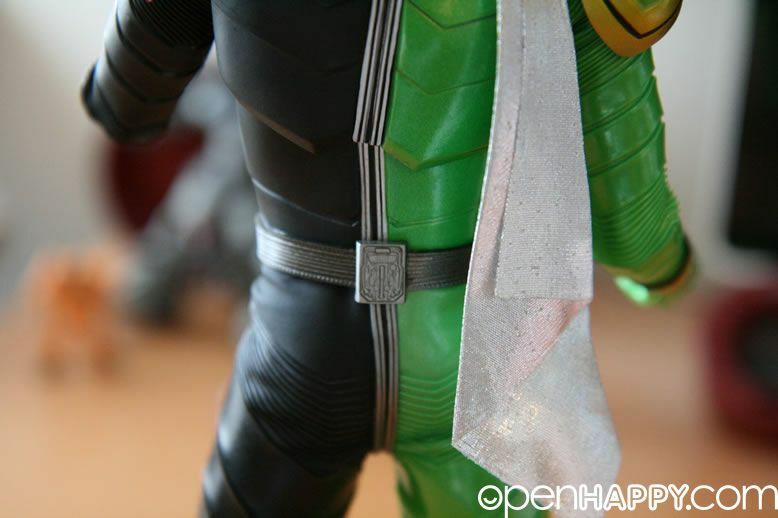 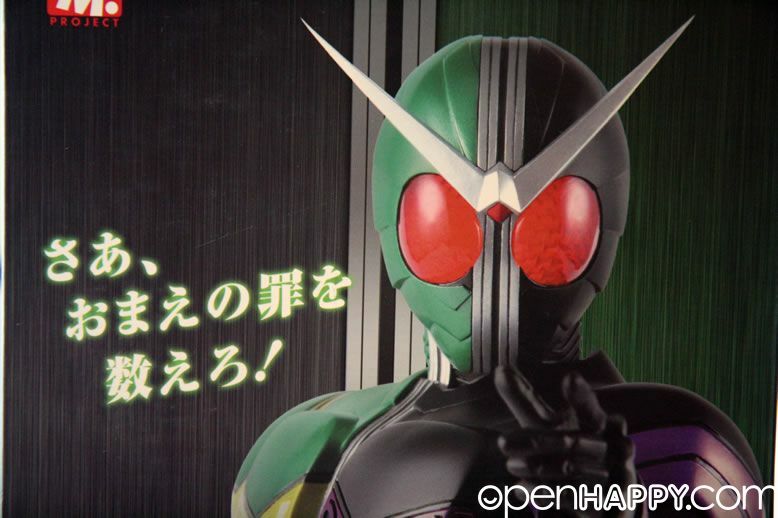 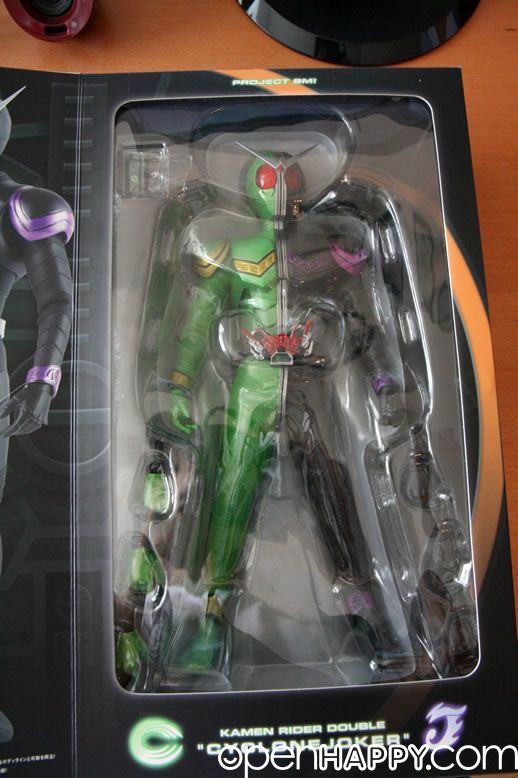 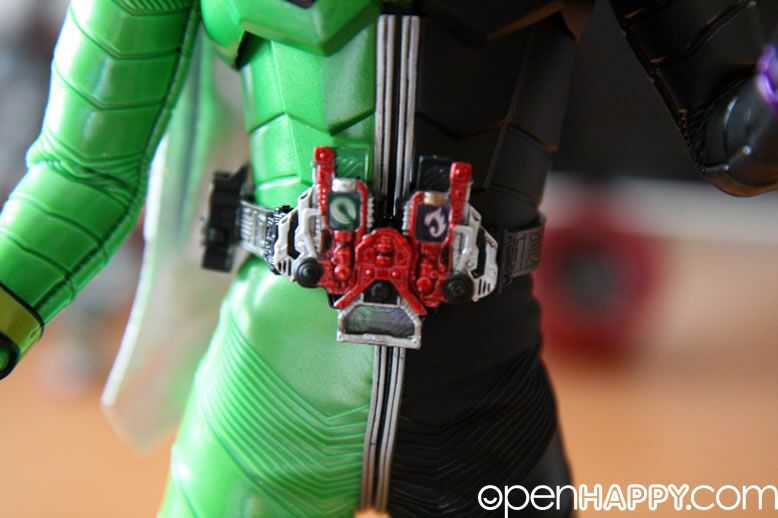 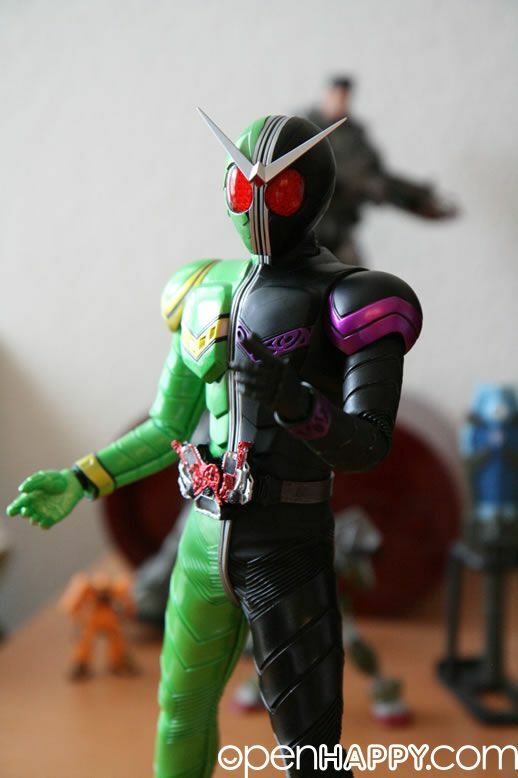 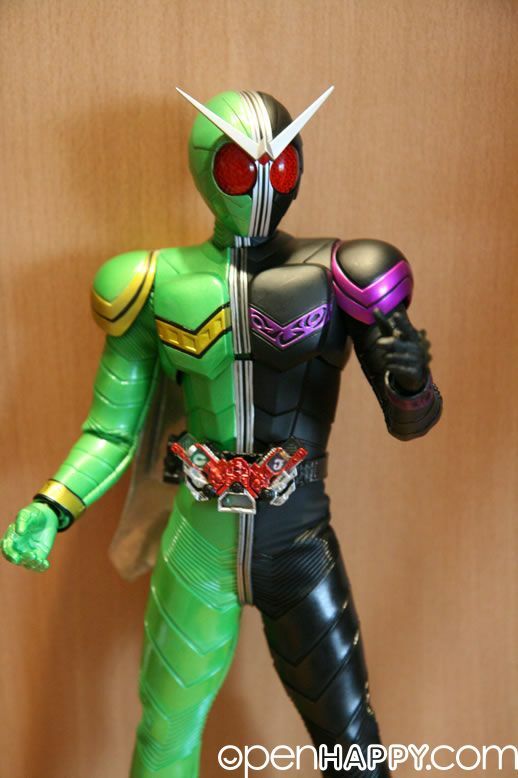 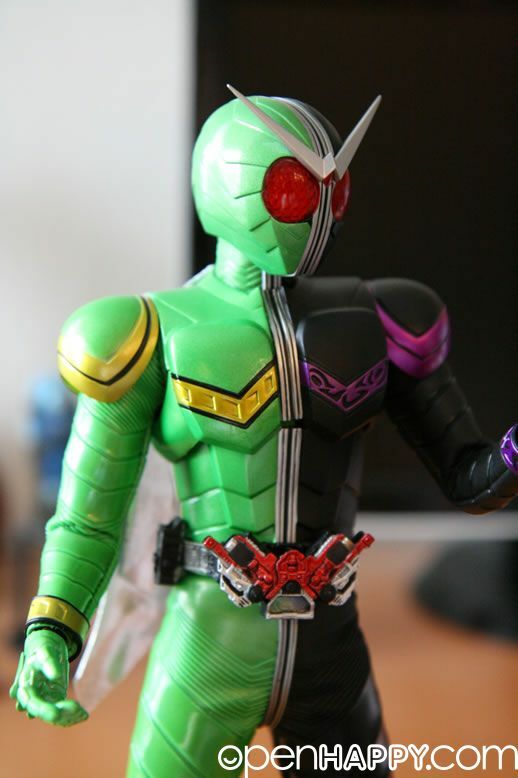 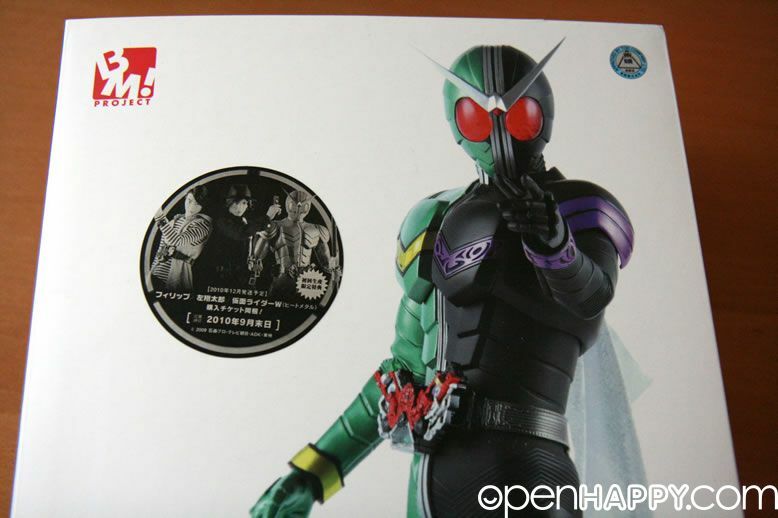 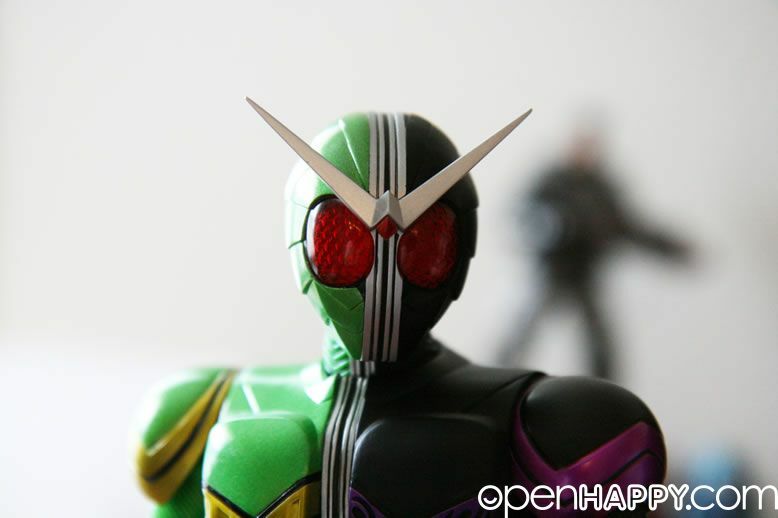 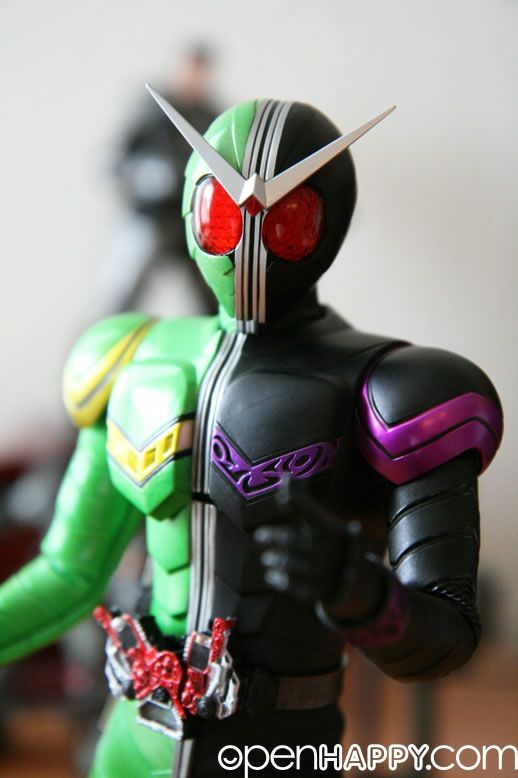 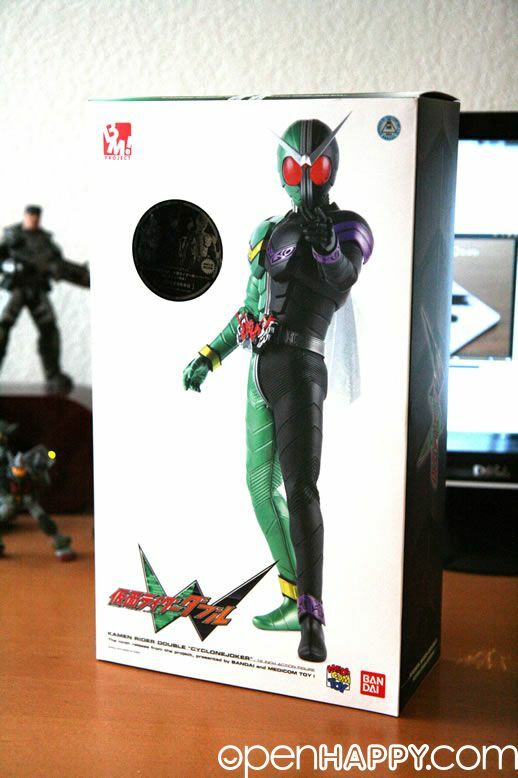 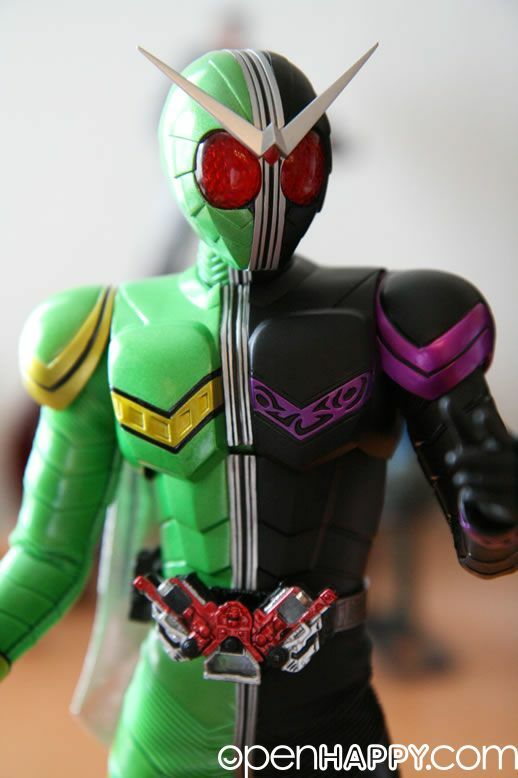 I am a big fan of kamen rider in general, I should spend more time writing about it. 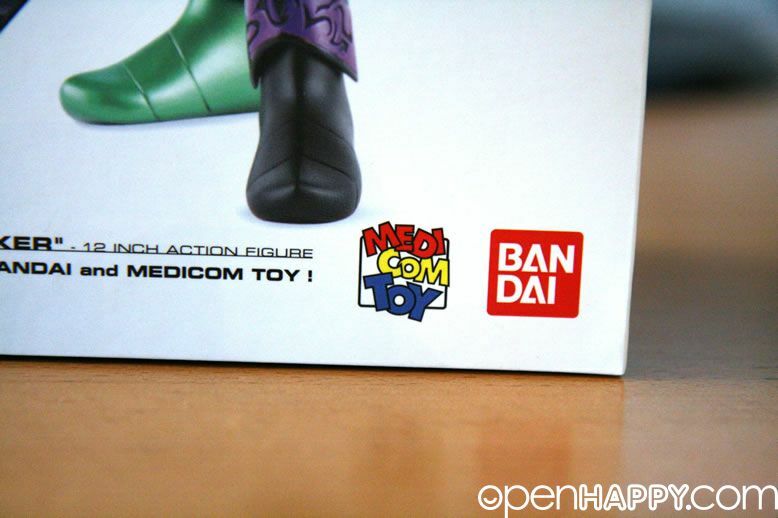 Anyway, here is a great catch from Medicom. 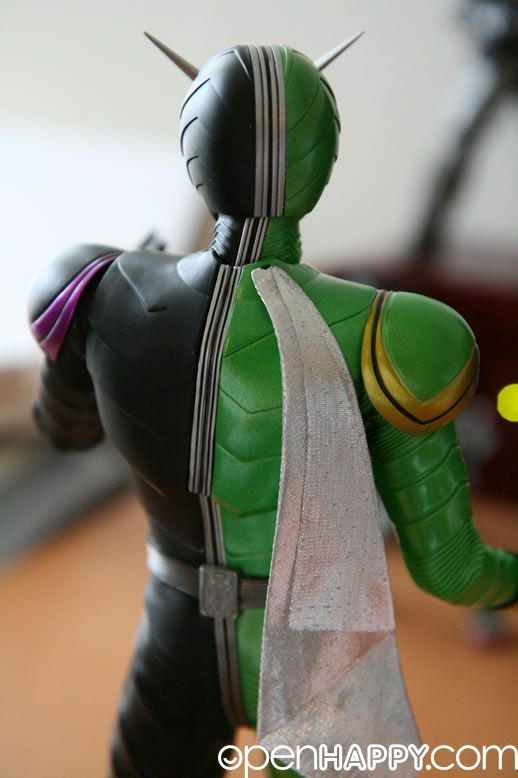 It is 1/6 on a RAH body branded as part of the BM project. 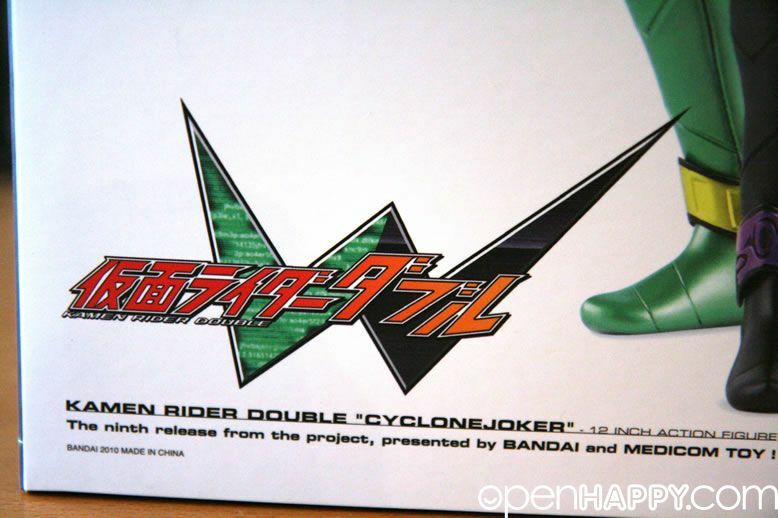 This is the Cyclone Joker combination. 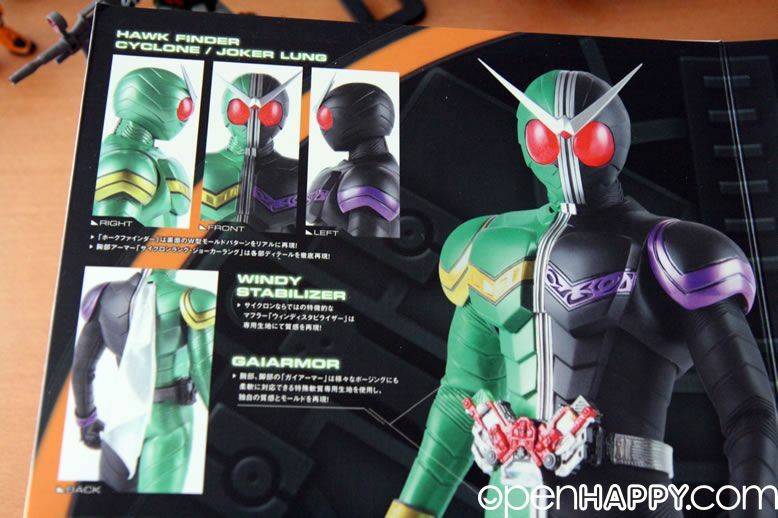 There is another one which is Luna Trigger. 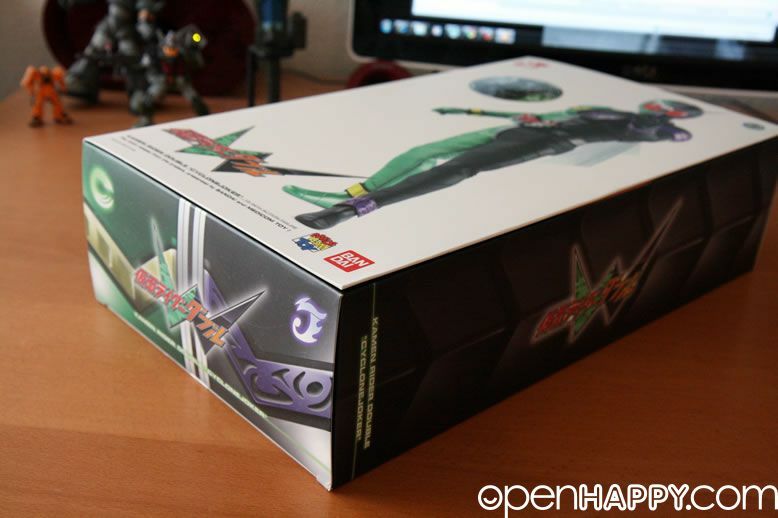 The box is big and beautiful. 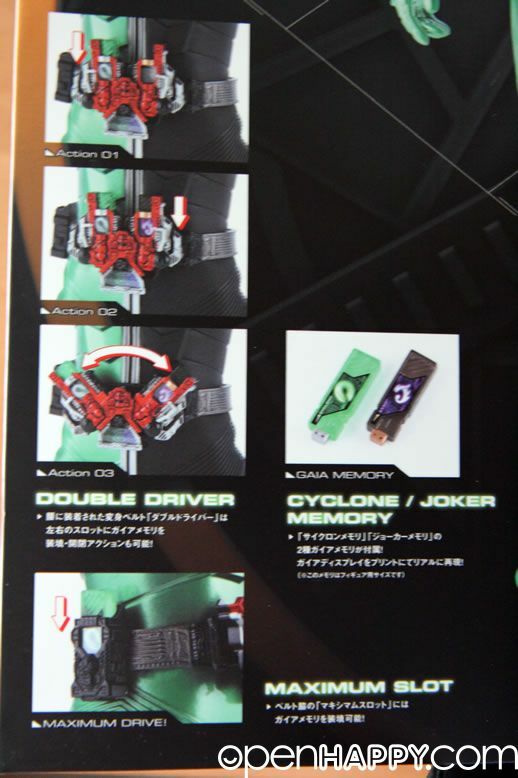 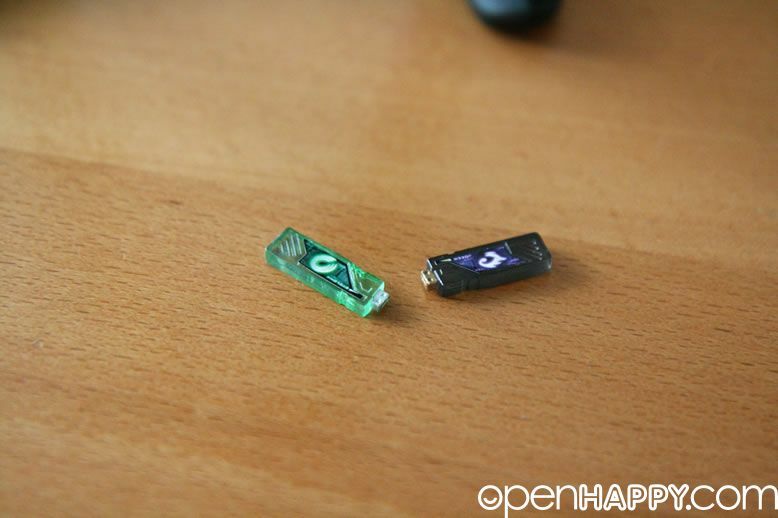 Two gaia memory is included. 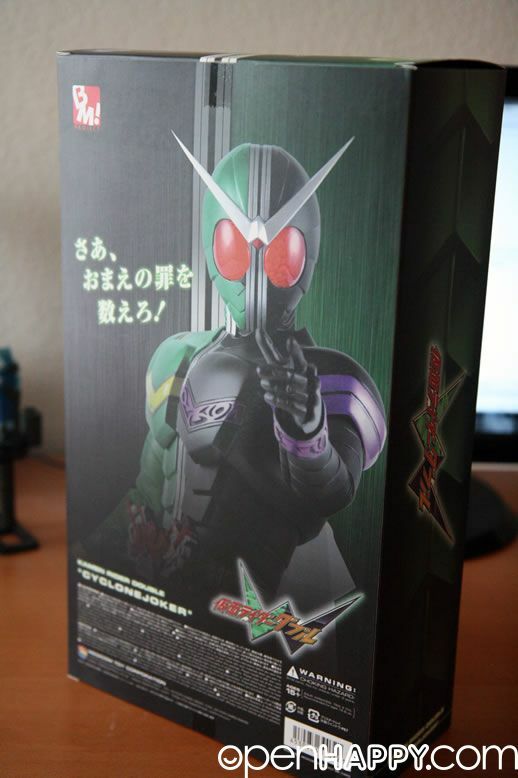 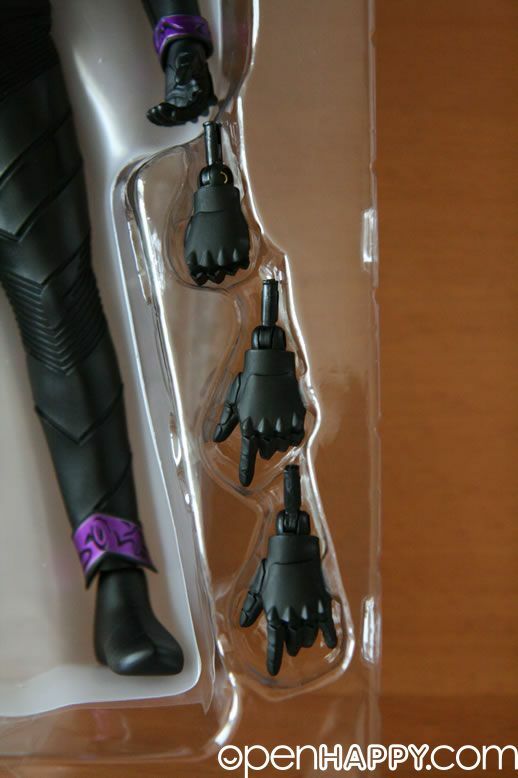 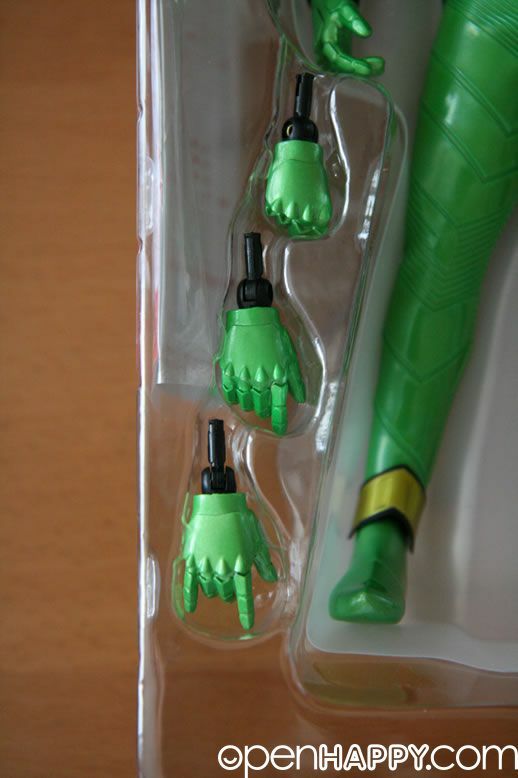 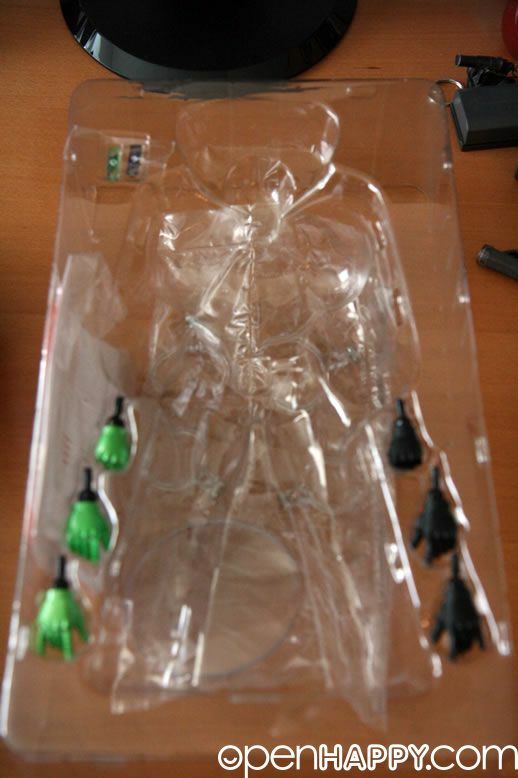 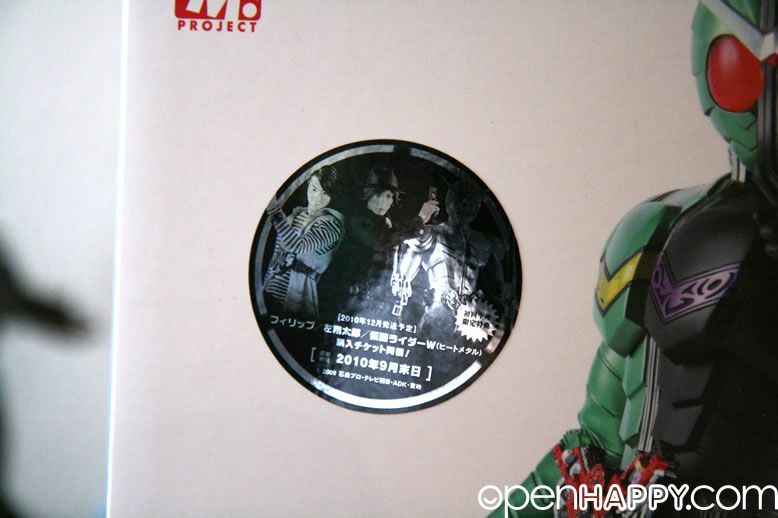 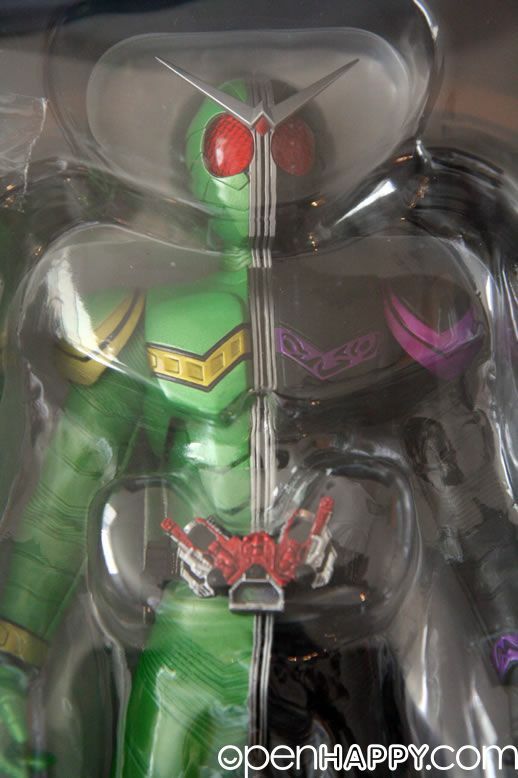 But the way, the packaging has a inner container which is different than the other RAH figures. 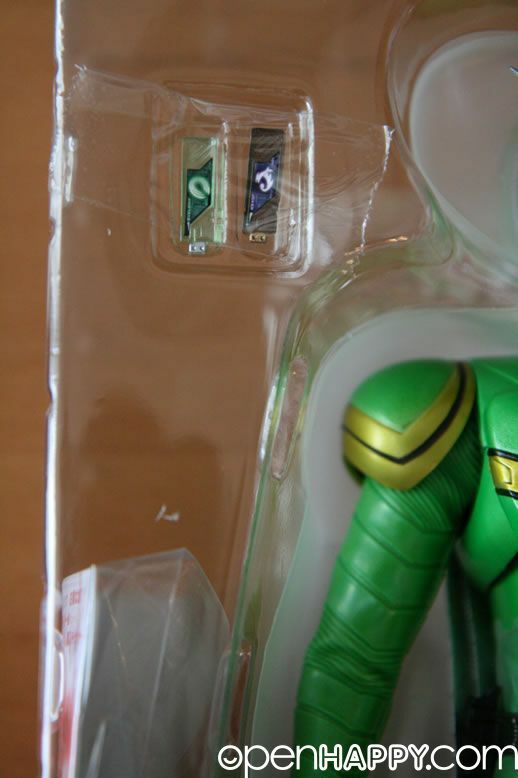 I suppose it is used to make sure the V on the top of the head is not damage. 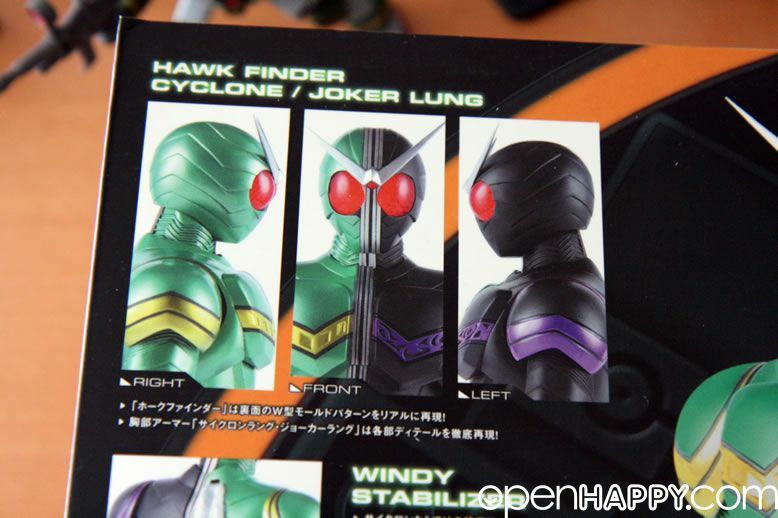 The stablizer at the back is real cloth. 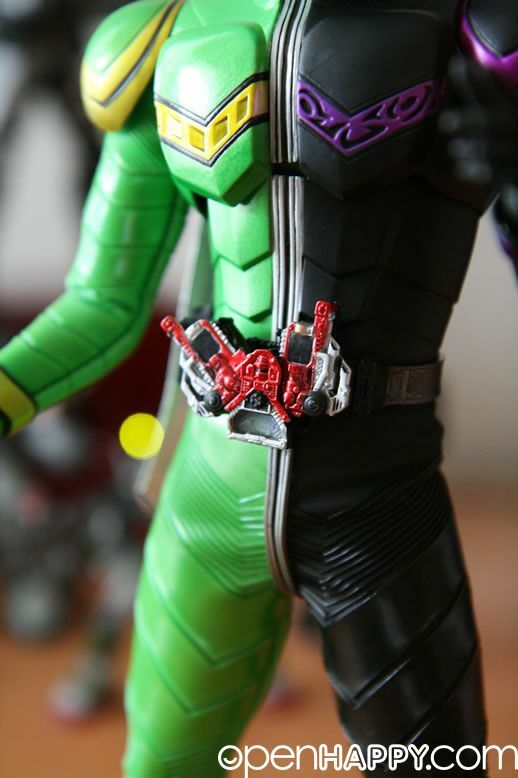 RAH figure is just very details from front to back. 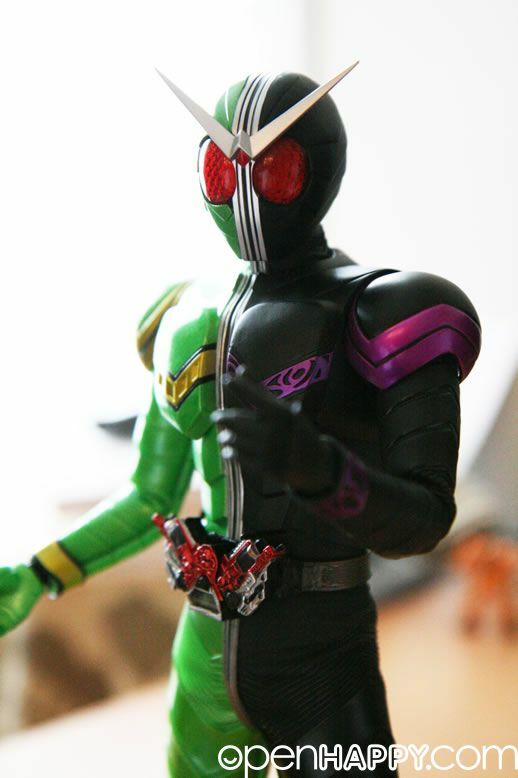 Pretty good looking ... happy.